The Kombi Rocks Diner along the Yio Chu Kang Rd, is one of the rare vehicle revolution place in Singapore. Koon Kee Restaurant circa 1971, this classic looking restaurant gives that old back-to-the-past throwback vibe, with all 40 (and counting!) kombis and vintage automobiles to enjoy. I was in the mood for some worshipful weekend and what better way to worship your free time than to spend it with the right automobiles. 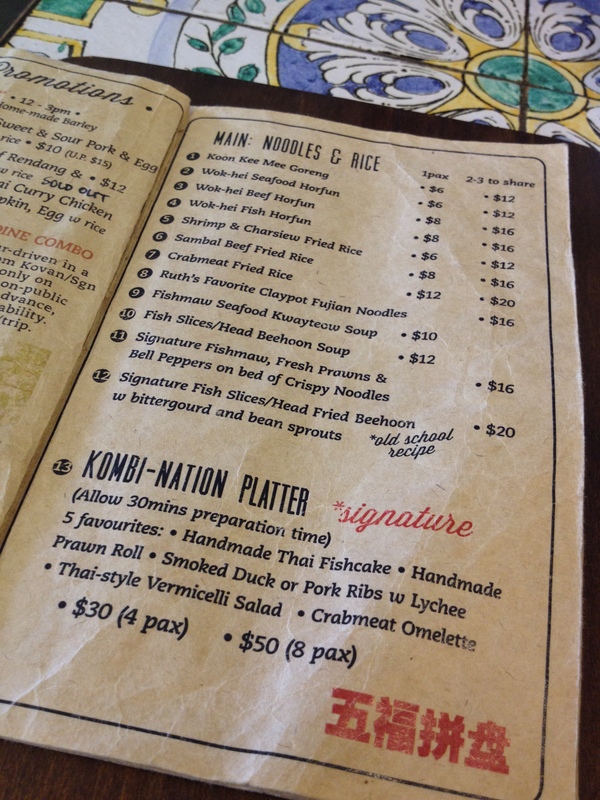 Inspired by Teochew-Thai fusion dishes, the Kombi Rocks Diner is a sure heartbreaker. Aside from their food and fleet inspirations, you can enjoy several of their services, such as: pop up events, mobile billboard, kombi photo booths, autocut barber services, and even restoration & support for those like-minded enthusiasts. Personally, I prefer this side of Kombi Rocks, because it’s all about culture and history, and you get to travel back in time. The details and resolution of the automobiles, as well as the overall restaurant are outstanding. What more if you pair this with people who are enthusiasts, inspirers, or all-out past-seekers? Overall, the place is made for all vintage-lovers of any age. It brings that nostalgia effect of the times where kombis reign our land. I must say it's a must visit! It's an amazing place where-in you can chill, listen to good music and have coffee. Opening Hours: Daily 12:00 Noon – 11:00 P.M.